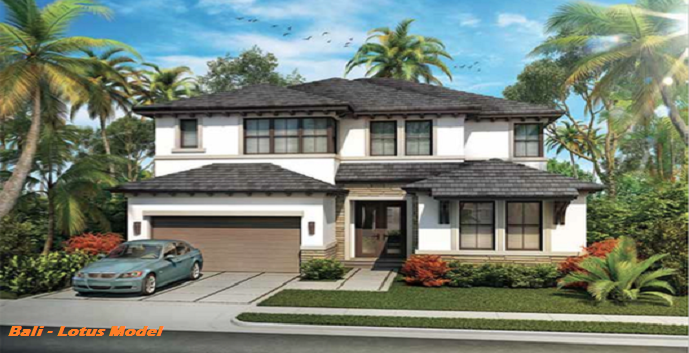 Bali by Legacy Homebuilders is a preconstruction single-family home community located on Sunset Drive and Southwest 163rd Court in Kendall, close to the Dadeland Mall, shopping, restaurants, nightlife, entertainment, country clubs, parks, and highways. 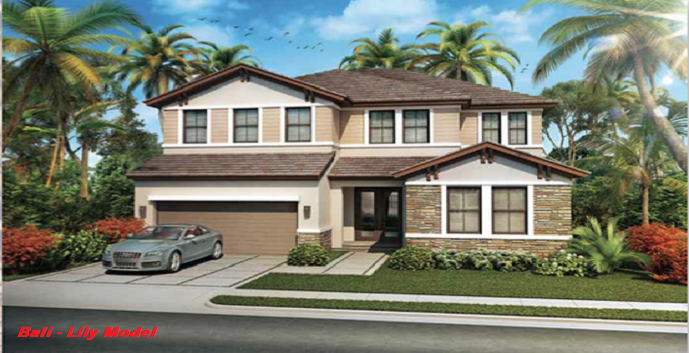 Alamanda - 2 story, 4 bedrooms, 4 baths, 4,154 total square feet. Top features include a gourmet kitchen, breakfast area, dining room, great room, loft, patio, and 2 car garage. Priced from $474,900. 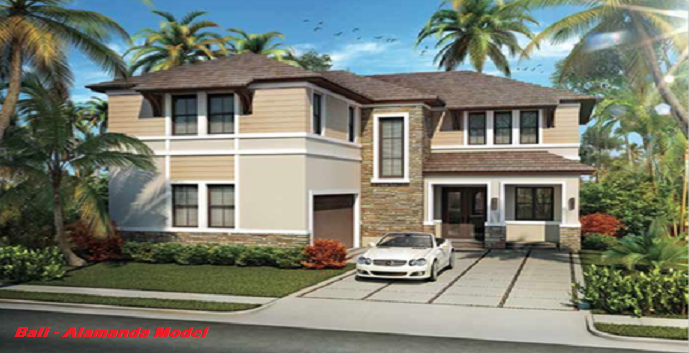 Lotus - 2 story, 4 bedrooms, 5 baths, 4,236 total square feet. Top features include a gourmet kitchen, dining room, great room, loft, patio, and 2 car garage. Priced from $484,900. 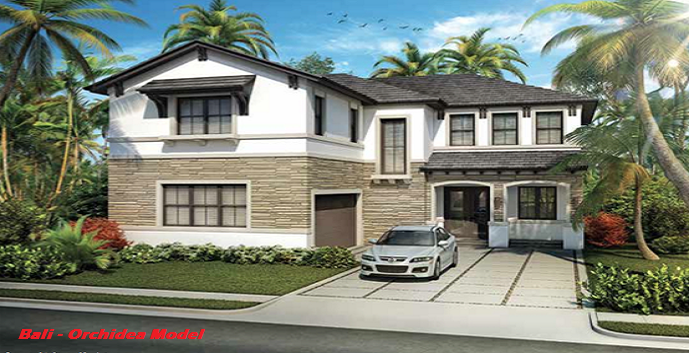 Orchidea - 2 story, 5 bedrooms, 5 baths, 4,439 total square feet. Top features include a gourmet kitchen, breakfast area, dining room, great room, loft, patio, and 2 car garage. Priced from $494,900. Lily - 2 story, 5 bedrooms, 6 baths, 4,426 total square feet. Top features include a gourmet kitchen, dining room, great room, loft, patio, and 2 car garage. Priced from $514,900.